Calling all puppy lovers and feline fanatics everywhere – check out this new podcast celebrating the experiences of pet parenthood. Called the ‘Pet Parents, Oversharing,’ this podcast is produced by Freshpet® Inc., the makers of fresh, all-natural, food for pets. 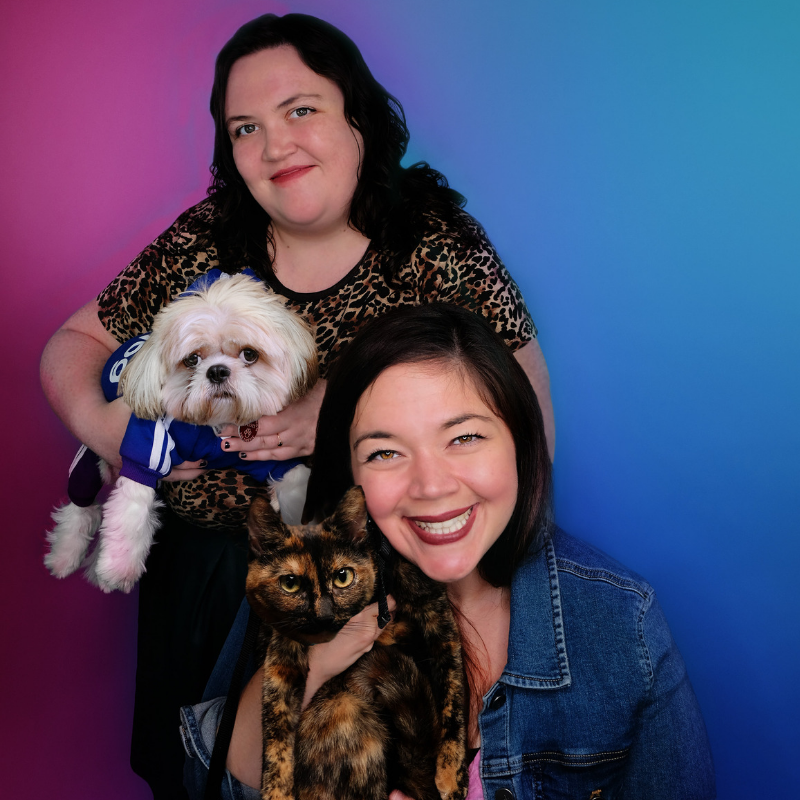 Hosts Kaity Reagle and Andrea Shapiro (host of “The Passport to Love” podcast) share their personal pet parenting confessions based on real-life, often-hilarious and sometimes-awkward moments with Floof Boi, the rescue Shih Tzu, and frisky feline duo Candy and Phoebe. Episodes touch on a wide range of topics like puppy pageants, when it’s okay (and not okay) to refer to your four-legged family member as a “fur baby,” and how talented you really think your pet is. Season one will explore celebrity pets, the “cult” of pet parenthood and the weird, wonderful magic of naming a cat or dog; no topic is out of bounds as Reagle and Shapiro commiserate over having seen, heard and smelled it all. Given that half of Americans consider their dog their child, and 55 percent confess they’d be lost without their pet according to a recent national survey*, it’s only natural for pet parents to want to share their lessons learned and most cherished moments with other like-minded animal lovers. In fact, close to three in five (58 percent) pet parents have conversations with their four-legged children, and significantly more women (68 percent) than men (41 percent) are likely to do so – a topic explored through ‘Pet Parents, Oversharing’ with original songs and stories of embarrassing one-liners your significant other wishes you never heard them say during passion-filled cuddle sessions. To download or listen to the first season of ‘Pet Parents, Oversharing,’ visit Freshpet.com/pet-podcast. * Online survey conducted by Kelton Global to 1,024 American dog owners ages 18 and over, with a margin of error of +/- 3.1 percent.